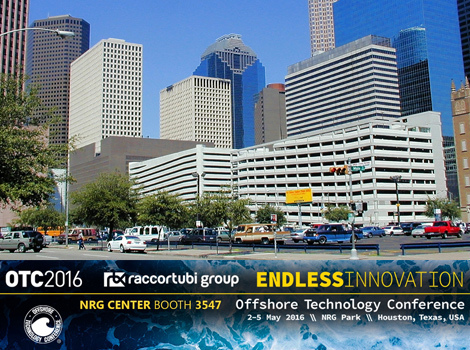 From 2nd to 5th May, Raccortubi Group will be making its debut appearance at the OTC in Houston. With an ever-expanding global presence, Raccortubi has decided to take part in the 2016 event with its own stand. Founded in 1969, the flagship conference represents an annual opportunity for energy professionals to meet and exchange advanced scientific and technical knowledge for offshore resources and environmental matters. Raccortubi Group will be present at stand 3547 to share its expertise in the fields of international manufacturing, stockholding and distribution of piping materials for critical applications, such as offshore platforms, chemical and petrochemical plants, and oil installations.